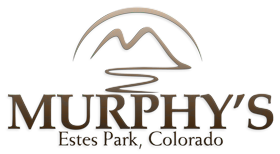 Come visit Murphy’s Resort Summit View Vacation Home and wake up to spectacular views of Longs Peak and Twin Sisters. Summit View Vacation Home also boasts its own private fire pit in the backyard so bring some s’mores! All registered guests staying in Summit View Vacation Home have full access to Murphy's Resort amenities. You must check-in with the front office to obtain a parking pass. Due to limited parking, only two cars per home are allowed on premises.